Dominic has been left for dead out in the desert by his cohorts after a simple pick pocketing job goes awry. After stumbling around and drinking some funky colored water that looked like it was draining from an old mineshaft, he gets attacked by a coyote. He kills and eats the coyote, then changes into A coyote. 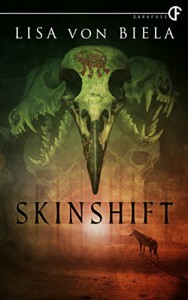 Skinshift is my first Lisa von Biela read and it wasn't one that I'll be jumping up and down about. The writing itself is decent, but the story is a basic shapeshifter tale that doesn't go anywhere. 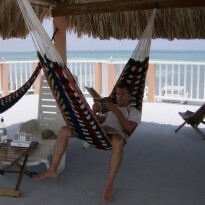 The characters weren't very interesting or fleshed out. Dominic seems perfectly cool with the fact that he now can change into a coyote like its the most normal thing in the world. There are characters that are introduced towards the end of the story that don't serve much of a purpose, much like the story.